Ambidextrous, IWB/OWB Single Magazine Holster for glock 9/40/357 magazines. Carry your spare mag with you at all times. Extremely versatile with mounting holes on both sides to accommodate your preferred carry position for either IWB/OWB Carry and Right Hand/Left Hand Draw. 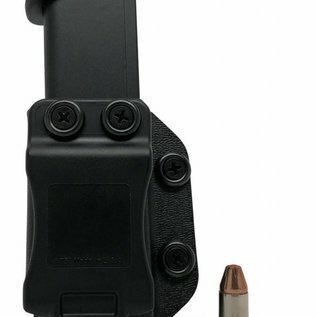 Mag Holster comes fully assembled for RH IWB Carry, but is easily reconfigurable with just a phillips screwdriver. 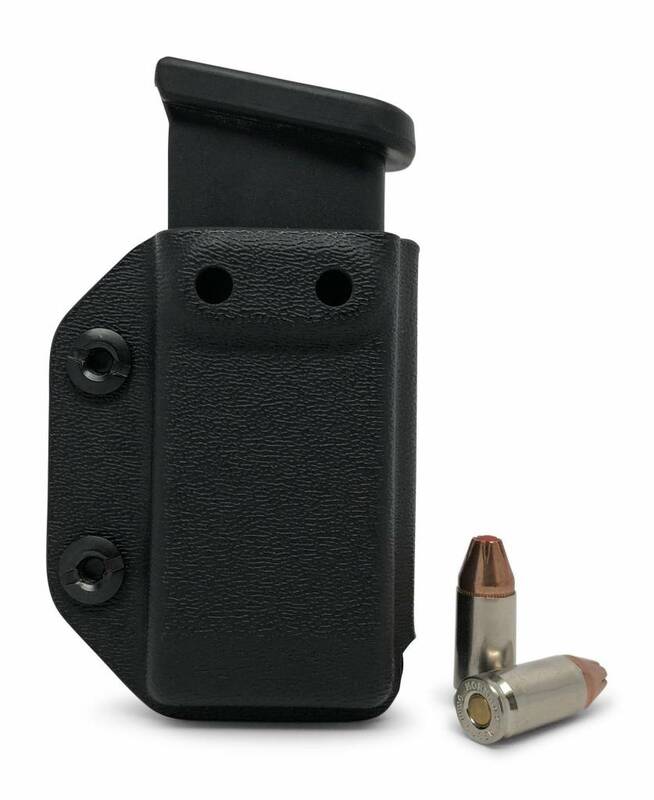 Our magazine holsters come with a 1.5" Belt Clip and have fully adjustable retention pressure. 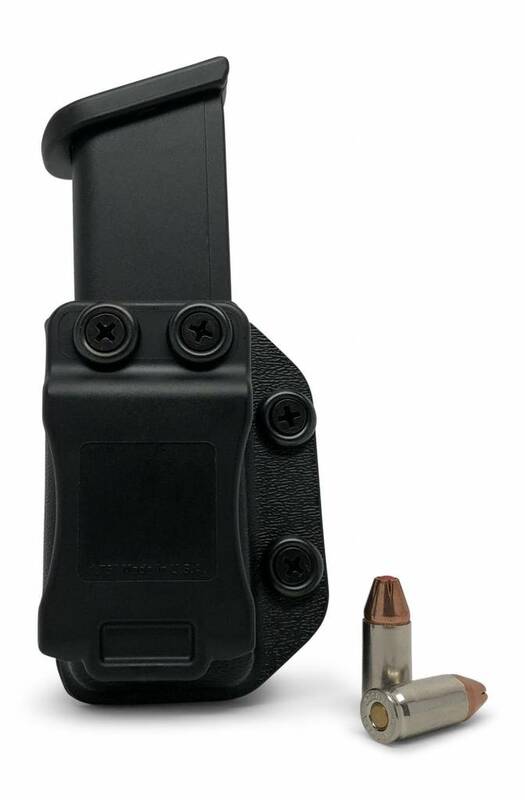 Mag holsters are not universal and are only designed to fit the model of clip/gun specified.